Happy Monday! I’m thrilled it’s finally December. I get in the Christmas spirit pretty much as soon as Halloween is over, but once December hits it feels REALLY official. 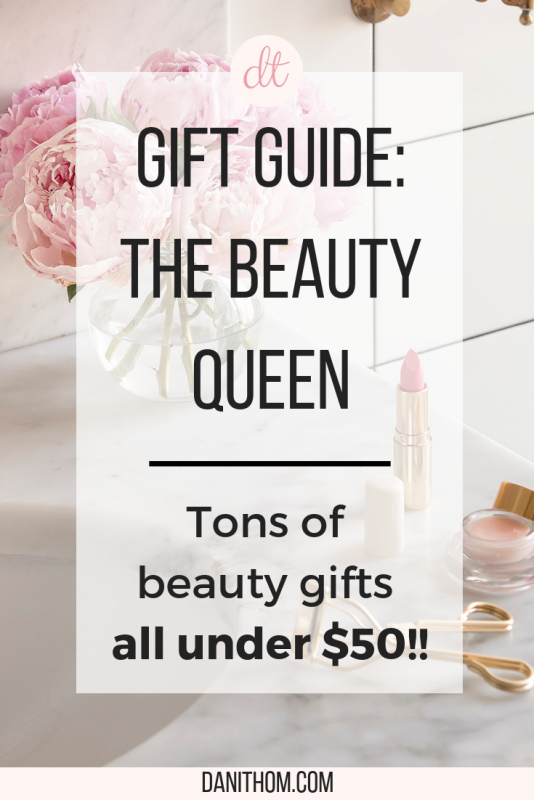 Today’s gift guide is for the beauty queen in your life. I found tons of great deals on make-up, skin care sets, hair care and more! One of the best gifts to save someone both time and money is an at-home wax kit. Mine saves me hundreds of dollars a year!! Give the gift of savings with a Kolua at-home wax kit. Beauty gift sets are always a safe bet at Christmas, but if you can find out what their favorite brand is, that’s your best bet. While many people do like gift sets, most have a particular brand that they prefer over others for whatever reason. *THE WINNER OF THE KOLUA WAX AT-HOME GIVEAWAY IS: Alison Ryan! Please email me at thompsondanir@gmail.com to claim your prize! !